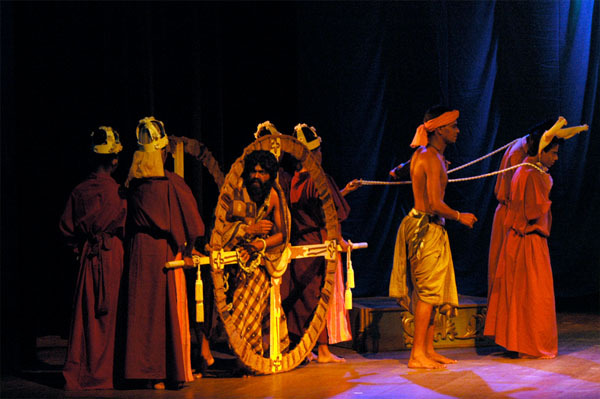 It was in such adverse and negative context, the Janakaraliya mobile theatre was conceptualized. 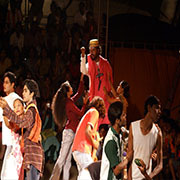 A simple description of "Janakaraliya"would be, it is a bi lingual collective of youth trained in all skills necessary for drama pr oduction, who move from one location to another with their collapsible tent hall, performing plays to audiences who otherwise have no access to such recreation.During their long stays in rural locations, Janakaraliya introduces drama to school children and train teachers to use drama as a teaching tool. 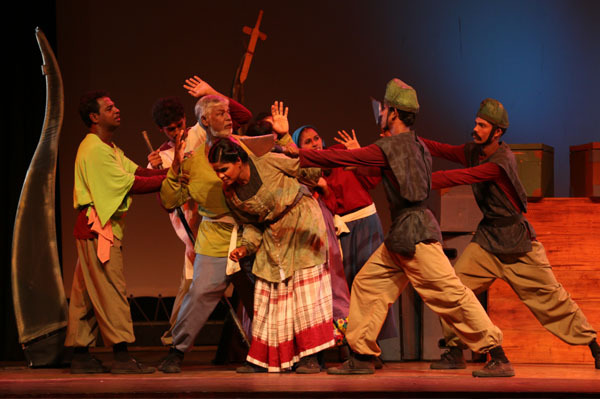 In a more deeper discourse, "Janakaraliya" is an experimental process in applied theatre with stage plays taken out of their traditional proscenium stage into an arena platform and placed within a circle of audience. 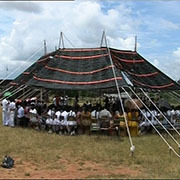 It thus creates a closer interactive experience for the audience. 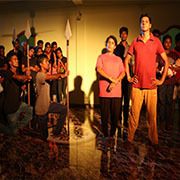 This novel experience for rural society has ignited a new interest in drama. 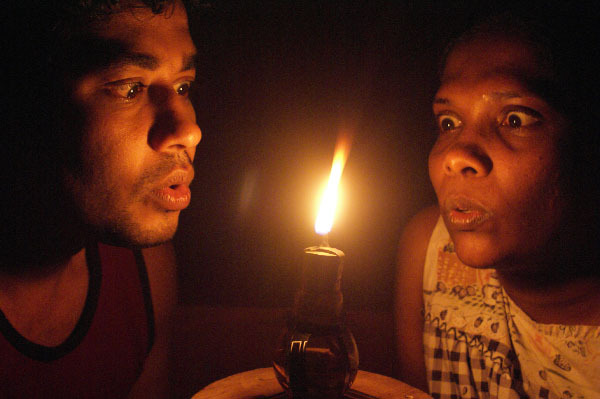 This is evident in the Janakaraliya team that is almost all rural from both Sinhala and Tamil areas, including the plantation sector. 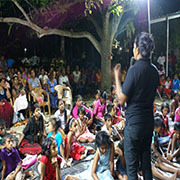 Parakrama Niriella that Founder of Janakaraliya Mobile Theatre, An Alternate Aesthetic Social Intervention in Sri Lanka.Since 2003, his main responsibility and devotion has been taking of "Jana Karaliya" Mobile Theatre and its Travelling multi-ethnic drama group throughout the country. 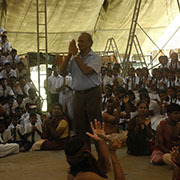 Creating a life sustaining civilization in which Arts and Culture become major priorities. 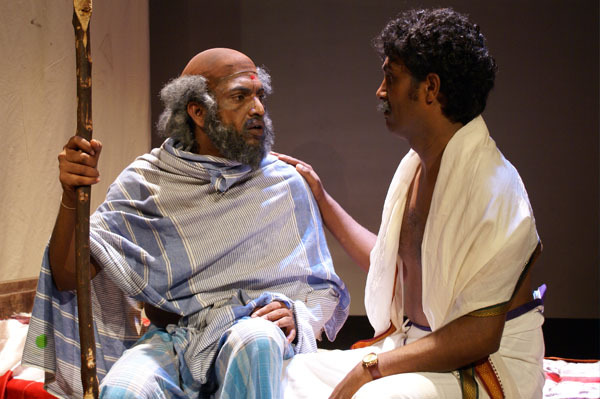 Become the best foundation and community theater network with capacity to drive deep transformation socio-cultural process. 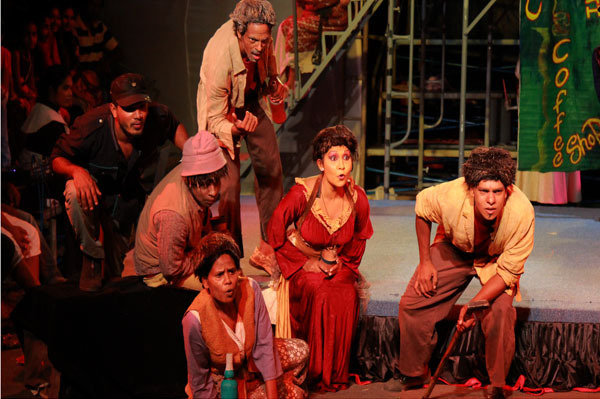 "Theatre of the People" ensemble popularly known by its Sinhala name "Janakaraliya" is over 14 years old now. 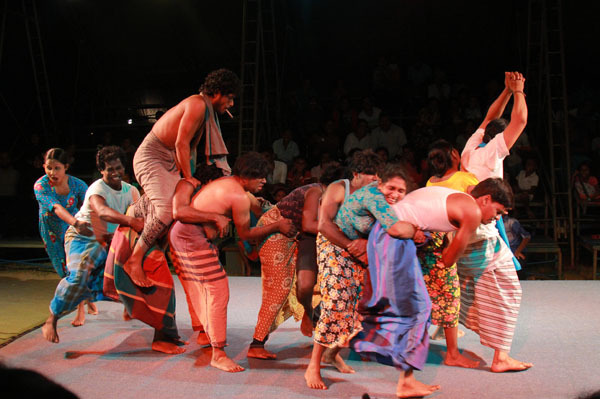 The whole idea of this travelling theatre ensemble was conceptualized by the Chief Executive Director Parakrama Niriella .